This is what it is to be a slave: that everything is decided for you from out there. You just got to listen and do as they tell you. You don’t say no. You don’t ask questions. You just do what they tell you. But far at the back of your head you think: Soon there must come a day when I can say for myself: This and that I shall do, this and that I shall not. In Philida, longlisted for the Man Booker Prize, André Brink—“one of South Africa's greatest novelists” (The Telegraph)—gives us his most powerful novel yet; the truly unforgettable story of a female slave, and her fierce determination to survive and to be free. It is 1832 in South Africa, the year before slavery is abolished and the slaves are emancipated. Philida is the mother of four children by Francois Brink, the son of her master. When Francois’s father orders him to marry a woman from a prominent Cape Town family, Francois reneges on his promise to give Philida her freedom, threatening instead to sell her to new owners in the harsh country up north. Here is the remarkable story—based on individuals connected to the author’s family—of a fiercely independent woman who will settle for nothing and for no one. Unwilling to accept the future that lies ahead of her, Philida continues to test the limits and lodges a complaint against the Brink family. Then she sets off on a journey—from the southernmost reaches of the Cape, across a great wilderness, to the far north of the country—in order to reclaim her soul. André Brink is the author of numerous novels, including A Dry White Season, Imaginings of Sand, The Rights of Desire and The Other Side of Silence. He has won South Africa's most important literary prize, the CNA Award, three times and has twice been shortlisted for the Booker Prize. "A soaring, kaleidoscopic account of a slave woman's struggle to protect her humanity. The voice of Philida is wonderfully nuanced and complex—capable of rendering up both the brutality of her experience, and the poetry she manages to wrest from it. A masterful and deeply humane work of art." "Powerful. . . . Heartrending. . . . [Brink is] a writer of remarkable compassion and insight. His deeply emotional, complex mix of history and fiction will haunt readers long after the final page is turned." "Eminent white Afrikaans writer Brink tells a story that is rooted in his own family's ancestry and set in the Cape in the early nineteenth century, before the abolition of slavery. . . . This stirring novel opens up the horror, seldom addressed, of the oppression long before apartheid was the law." "Words, and the act of recording the truth, lie at the very heart of Brink's novel, from the necessity of Philida's complaint being written down 'very precisely,' to a spill of ink that obliterates the names inscribed in the back of the Brink family bible. 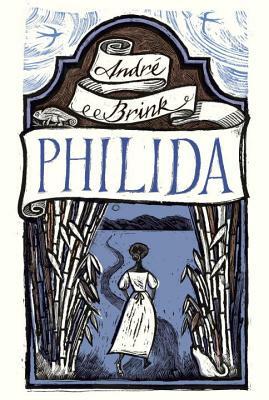 In giving a voice to Philida, Brink isn't just rewriting the sins of the fathers—her consciousness is joined by that of Frans, Cornelis, and a freed slave, Petronella, in a cacophony that indicates the shift in the power balance happening in the Cape during this period. . . . Philida's body may not be her own, but her voice certainly is. Her complaint sets in motion a series of events that sends shock waves through the lives of everyone around her: 'One day there must come a time when you got to say for yourself: This and that I shall do, this and that I shall not.'" "An impossible love story, it is not impossible in the traditional sense of love between mismatched partners, but because it shows how no love is possible between persons fundamentally unequal. Philida's voice is the first voice we hear, and hers is a voice to attend to: idiomatic, lyrical, querulous, searching. . . . The book traces the lacerating trajectory of the sins of parents, parents' scars like open wounds on their children's bodies. There is an astonishing frankness about the facts of life and a visionary lyricism in relation to these cruel facts. The "Acknowledgements" section details the genesis of the novel. In its way, it is as thrilling as the book itself. Extraordinary." "A moving story of one woman's struggle against hierarchies of race and gender that seek her absolute subjugation, Philida vividly dramatises the courage required to lay claim to the protections of the law, to speak out for one's rights even in the moment in which the law is on the wrong side of history. While this is a familiar story, it is one that must continue to be told, not least by white writers willing, as Brink is, to disinter the histories of complicity buried in their own ancestries." "We are clearly and wholeheartedly on Philida's side—and, indeed, we remain so throughout. But Brink's achievement is to invoke a measure of sympathy for the fading Dutch colonialists as well. There is, it transpires, a profound and substantial relationship between Philida and Frans; and its passing is, arguably, more painful for him than her. . . . There is much, particularly relating to the separation of women slaves from their children, and to the punishments meted out to runaway slaves, that is extremely harrowing. But the light and shade that Brink has skillfully introduced into his augmented family history make for a compelling and memorable novel." "In the hands of Mr. Brink, one of South Africa's most famous novelists, the land breathes; it feels alive. . . . Books about slaves, especially the female kind, risk straying into worthiness and sentimentality. Mr. Brink steers well clear. Philida is bawdy and brave. She is pragmatic but sure in her faith that a new day is coming. When that time comes, it will be blue, blue as all other days are blue, and yet, it will be completely different. . . . [Philida] is based on fact. The woman existed. Cornelis was the brother of one of the author's ancestors. Zandvliet is a wine estate, though under another name. They are characters of long ago and far away. But such ghosts forever loom, and Mr. Brink pulls them close." "As much a biography and autobiography as it is a novel. . . . Brink tells this grand-guignol tale in harrowing style. The book's opening 100 pages or so offer his first successful inhabitation of a genuinely female sensibility. That he inhabits it while also writing in the loose-limbed patois of a 19th-century slave makes the achievement all the more astonishing." "A poignant tale of a slave woman's quest for liberation set in 19th century Cape Town." "Philida is a very powerful novel, and its graphic accounts . . . [offer] an eloquent indictment of racial and economic oppression." "[Philida] combines an unflinching examination of the cruelties inflicted on the African people by their Afrikaner masters with an attempt to give voice to the tradition that sustained them. . . . [A] rich and complex novel. . . . A deep love of the South African countryside shines through, woven together with creation myths and earthy folks tales."